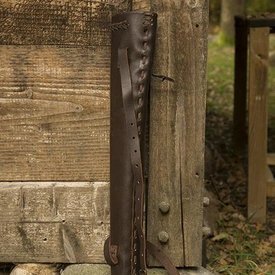 This quiver has a design that is suitable for medieval re-enactment, it is also perfect for LARP and Cosplay. 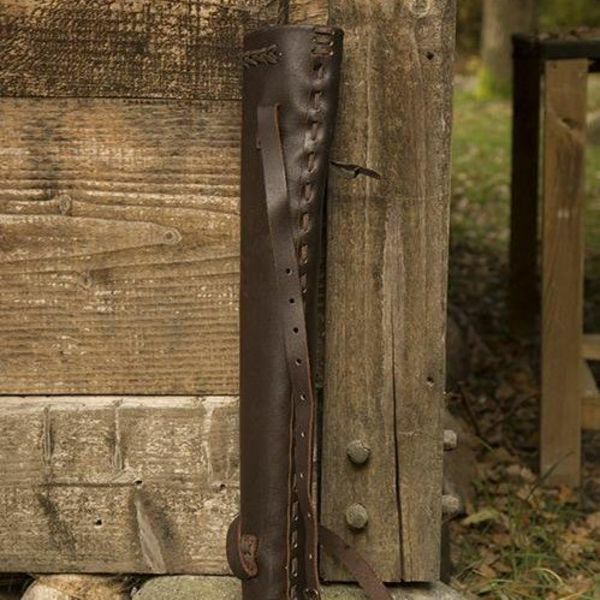 A simple but strong quiver made of high quality bovine leather. At the top, bottom and side it has stitched leather details to really get into the medieval mood. With the leather belt it can be worn over the shoulder or on the back.